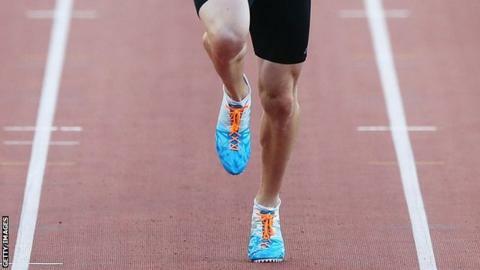 Athletics' governing body the IAAF has decided to extend Russia's ban from international athletics competitions for state-sponsored doping. Russia was suspended in November 2015 by the IAAF and the ban has twice been extended meaning athletes missed the Rio Olympics. They are now set to also miss March's European Indoors in Belgrade. This extension comes despite Russian President Vladimir Putin approving a law criminalising doping in sports. In his annual Kremlin speech to parliament and the nation, President Putin said that Russia's new anti-doping programme would be ready in early 2017, so that athletes could qualify to take part in August's World Championships in London. Although Rune Andersen, the head of the International Association of Athletics Federations Taskforce looking into the steps Russia is taking to combat doping, says the country's athletics federation (Rusaf) has made further progress on the matter since June, it has refused to put any dates on a timescale for a return to the fold. The final report by Canadian law professor Richard McLaren into Russia's state-sponsored doping programme, is due to be released on 9 December and Andersen said the Taskforce would return to Russia in January to assess the response to it before reporting to February's IAAF Council meeting. "At that time it hopes to be able to identify a clear roadmap and timetable for Rusaf's reinstatement," said the Norwegian. In the meantime, Russian athletes can still apply to the IAAF doping review board to compete if they can demonstrate they have undergone a testing system, as the US-based long jumper Darya Klishina did successfully for the Rio Games.